Widget-based version of the classic arcade game. Is there a better alternative to Cosmic Defender? Is Cosmic Defender really the best app in Email category? Will Cosmic Defender work good on macOS 10.13.4? 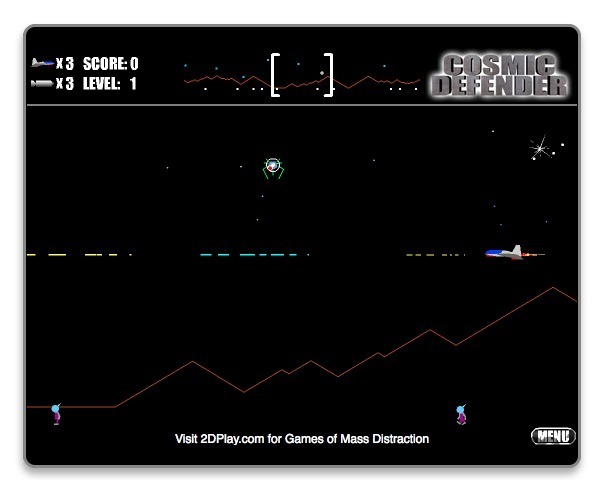 Cosmic Defender is based on a classic arcade game: You are in command of a space ship, and your job is to avoid the invasion of your planet by an alien race. Use the arrow keys on your keyboard to move the ship. Use the space bar to shoot. Cosmic Defender needs a rating. Be the first to rate this app and get the discussion started!